[35% OFF] 2019 Embroidered Button Up Denim Jacket In JEANS BLUE | ZAFUL .. 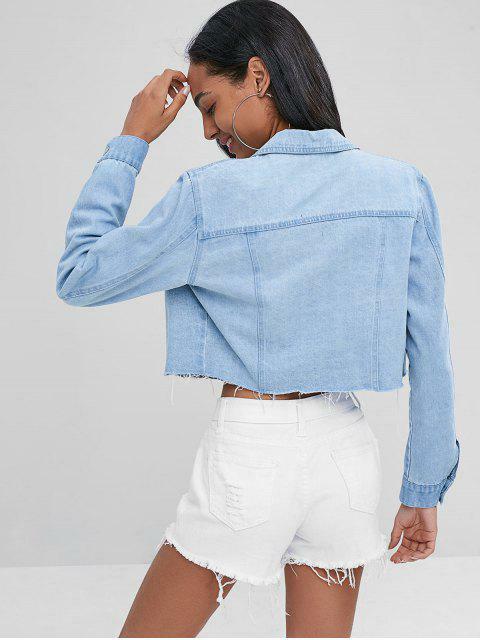 It' s time to shape up your style with this cropped denim jacket. Accented with a floral embroidery design that is updated with some eyelets and a button-up closure for an edgy touch, this jean jacket is given a vintage, lived-in feel with its frayed, raw hem. Just pair it with some cropped tops and jeans to complete the look.